Description: You are sure to enjoy this renovated 4 bedroom, 2.1 bath home with open floor plan. It has an eat-in kitchen that opens up to a family room and is close to town, schools and NYC transportation. 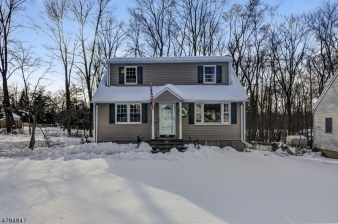 - Resting on just over a quarter acre, this home is perfect for today's buyer. The eat-in kitchen with granite counter tops has stainless steel appliances, large center island with breakfast bar & opens to the living room. A 1st floor master bed, an additional bed, renovated bath & sunroom complete the 1st floor. 2 beds & a renovated full bath are found on the 2nd level. The finished lower level features a rec room & a renovated half bath. A one-car attached garage completes this lovely home. Outside is a private, level backyard that welcomes active play & gardening.